In all likelihood, you’ll have experienced this unfortunate problem yourself, with your phone call disconnected in mid-call or worse, not even getting through at all without rhyme or reason. Following Murphy’s law, this situation invariably occurs right when you need to make that call the most. Welcome to one of, if not the most vexing of problems occurring in modern telecommunications today: the dropped call. To the layman, a dropped call is, minus the tech speak, an incident where a line from one caller to another gets disconnected before either side has finished the call. As frustratingly obscure as the problem is, a dropped call can be narrowed down to either your telco provider, your device or the area that you’re using said device from. When you make a call, your smartphone connects to the nearest base station. From there, your call gets passed on through the base station to the recipient number that you wish to contact and a constant signal is maintained for the duration of the call. Here’s where things get interesting – if you’re in between base stations or moving fast, like say when you’re driving, the signal gets handed over to another closer base station. So far, so good. Unfortunately, any of several things can happen to your signal in mid-call. The most common reason for a dropped call is that you wandered into a blind spot – an area with low or no coverage like an underground carpark. The next reason, while uncommon is that a base station may suffer a hardware failure and be unable to pass any signals. Another possible occurrence is that the signal handover from one base station to another gets botched, resulting in a dropped call. These situations are as a result of the operator dropping the ball in some fashion. 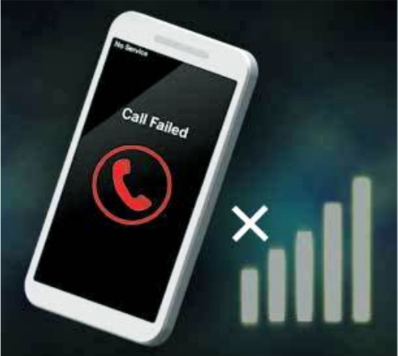 The next most common situation though is that your phone is unable to sustain a consistent signal from the base station, known as call handover failure. Ergo, some smartphones are better than others. While telco operators all endeavour to have the best coverage possible, often this may not be the case due to an oversight or Murphy’s law. After all, with a nationwide telecommunications network that sees thousands of calls a day, something occasionally falls through the gaps. however, you can do your part to make it better by highlighting where exactly you got a dropped call by lodging a complaint to the CFM Complaint online Portal (CoP) at www.complaint.cfm.org.my or calling 1 800-18-2222.